Across the European research area and beyond, efforts are being mobilized to align research and innovation processes and products with societal values and needs, and to create mechanisms for inclusive priority setting and knowledge production. A central concern is how to foster a culture of “Responsible Research and Innovation” (RRI) among scientists and engineers. This paper focuses on RRI teaching at higher education institutions. 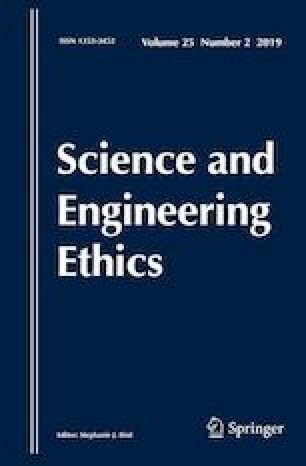 On the basis of interviews and reviews of academic and policy documents, it highlights the generic aspects of teaching aimed at invoking a sense of care and societal obligation, and provides a set of exemplary cases of RRI-related teaching. It argues that the Aristotelian concept of phronesis can capture core properties of the objectives of RRI-related teaching activities. Teaching should nurture the students’ capacity in terms of practical wisdom, practical ethics, or administrative ability in order to enable them to act virtuously and responsibly in contexts which are often characterized by uncertainty, contention, and controversy. The work reported in this paper was performed in the context of the “Higher Education Institutions and Responsible Research and Innovation” (HEIRRI) project, which has received funding from the European Union’s Horizon 2020 research and innovation programme under Grant Agreement No. 666004. The authors wish to acknowledge the valuable advice offered by two anonymous reviewers. Akaygun, S., Adadan, E., Sanyal, A., & Açikel, B. (2016). Nano and health: Teacher notes. Retrieved from http://www.irresistible-project.eu/index.php/en/resources/teaching-modules. Accessed 1 Sept 2017. Department of Information Science and Media Studies. (2015). ViSmedia—Visual surveillance technologies and journalism. Retrieved from http://www.uib.no/en/infomedia/94035/vismedia-%E2%80%93-visual-surveillance-technologies-and-journalism. Accessed 1 Sept 2017. European Union. (2012). Responsible Research and Innovation: Europe’s ability to respond to societal challenges. Retrieved from https://ec.europa.eu/research/swafs/pdf/pub_public_engagement/responsible-research-and-innovation-leaflet_en.pdf. Accessed 1 Sept 2017. Hutchings, B. (2006). Principles of enquiry-based learning. The University of Manchester, Centre for Excellence in Enquiry-Based Learning. Retrieved from http://www.ceebl.manchester.ac.uk/resources/papers/ceeblgr002.pdf. Accessed 1 Sept 2017. IRRESISTIBLE. (2014). The project bringing Responsible Research and Innovation into the classroom. A brief overview of the project. Retrieved from http://www.irresistible-project.eu/images/irr-mat/IRRESISTIBLE_folder_EN_02-2014.pdf. Accessed 1 Sept 2017. Italian Presidency of the Council of the European Union. (2014). Rome declaration on Responsible Research and Innovation in Europe. Retrieved from https://ec.europa.eu/research/swafs/pdf/rome_declaration_RRI_final_21_November.pdf. Accessed 1 Sept 2017. Mejlgaard, N., Buljan, I., Elías, N. S., Cayetano i Giralt, M., Griessler, E., Hansen, L. S., Lang, A., Marušić, A., Revuelta de la Poza, G., Strand, R., & Wuketich, M. (2016a). Stock taking/inventorying (WP2): Deliverable 2.2 state of the art review. Retrieved from http://www.guninetwork.org/files/images/imce/heirri_wp2_d2.2.pdf. Accessed 1 Sept 2017. Mejlgaard, N., Buljan, I., Saladié, N., Altenhofer, M., Cayetano, M., Gmelch, N., Griessler, E., Gylstroff, S., Lang, A., Marušić, A., Revuelta, G., Strand. R., & Wuketich, M. (2016b). Stock taking/inventorying (WP2): Deliverable 2.3 HEIRRI database. Retrieved from http://www.guninetwork.org/files/images/imce/heirri_wp2_d2.3.pdf. Accessed 1 Sept 2017. Nyre, L., Gynnild, A., & Guribye, F. (2015). Drones in education: Teaching students to make responsible journalism with new technology. Retrieved from https://issuu.com/heirriproject/docs/smart_drones_for_journalism._teachi. Accessed 1 Sept 2017. Shelley-Egan, C., Wright, D., Benčin, R., Riha, J. S., Strle, G., Ovadia, D., Cañedo, A. P., Angeli, C., & Sotiriou, M. (2014). SATORI deliverable D2.1—Report (handbook) of participatory processes. Retrieved from http://satoriproject.eu/media/D2.1_Report-handbook-of-participatory-processes_FINAL1.pdf. Accessed 1 Sept 2017. STIPS. (2012a). STIPS: Program for education and research on science and technology in public sphere. Retrieved form http://stips.jp/english/. Accessed 1 Sept 2017. STIPS. (2012b). Science and technology in public sphere. Retrieved from http://www.stips.kyoto-u.ac.jp/stips_e. Accessed 1 Sept 2017. University of Monatana. (2003). Online research ethics course. Retrieved from https://ori.hhs.gov/education/products/montana_round1/research_ethics.html#brief. Accessed 1 Sept 2017.
van Donzel, M., Dijkstra, G., & Wynstra, F. (2013). Fostering professionalism and integrity in research: Final report of the taskforce scientific integrity. Retrieved from https://www.eur.nl/fileadmin/ASSETS/ieb/integriteit/Taskforce_Scientific_Integrity_EUR.pdf. Accessed 1 Sept 2017.